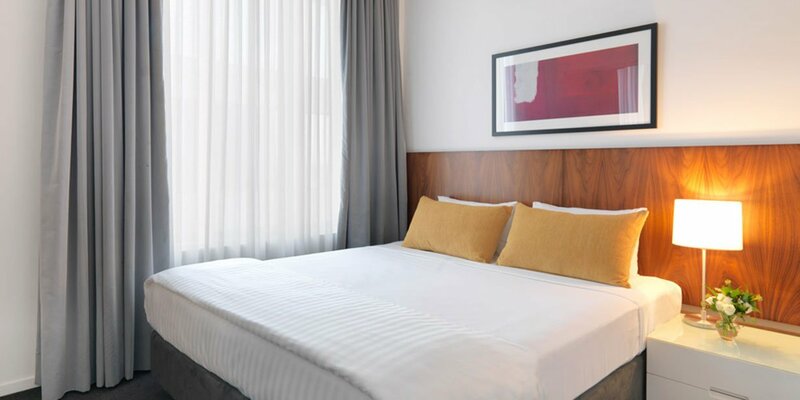 Located just one block from Federation Square, Adina Apartment Hotel Melbourne on Flinders is the perfect base for experiencing the best of the city. 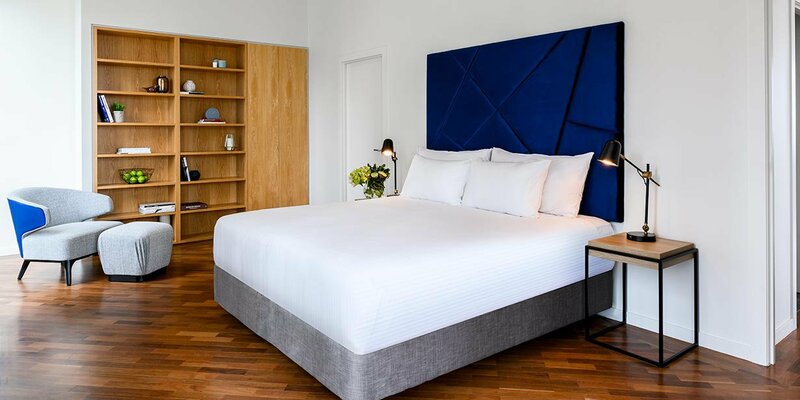 Simply walk out the hotel’s front door to immerse yourself in the city’s bustling laneways, famous small bars and world-class dining venues, such as Supernormal and Vue de Monde. 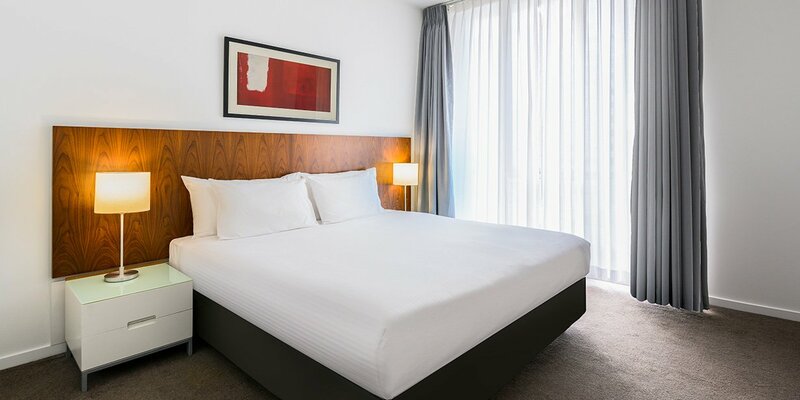 Southbank, with its myriad of eating and entertainment venues, is also just a short walk away, on the other side of the Yarra River. 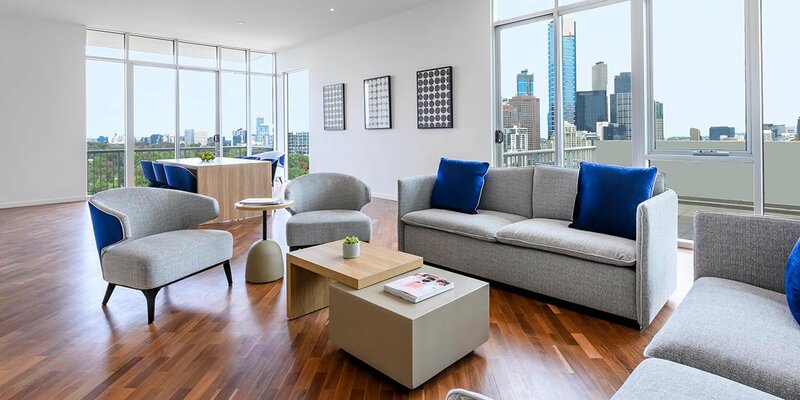 Other top Melbourne attractions such as St Kilda’s seaside café culture, Carlton’s cuisine and South Yarra’s shopping are just a short tram, train or bike ride away. 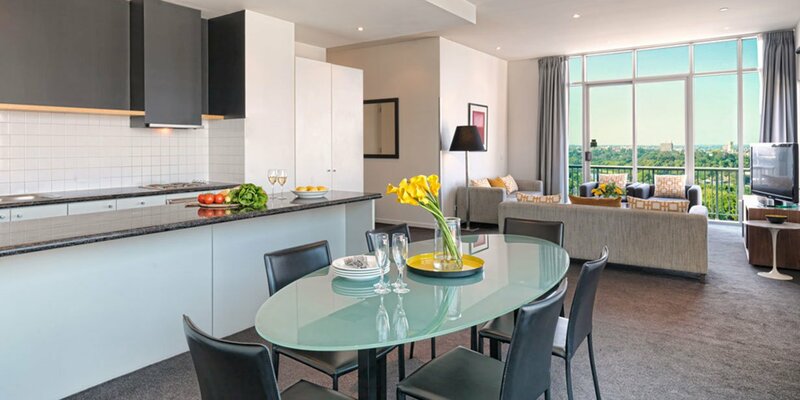 The serviced apartment style hotel offers 63 spacious one, two and three bedroom apartments. 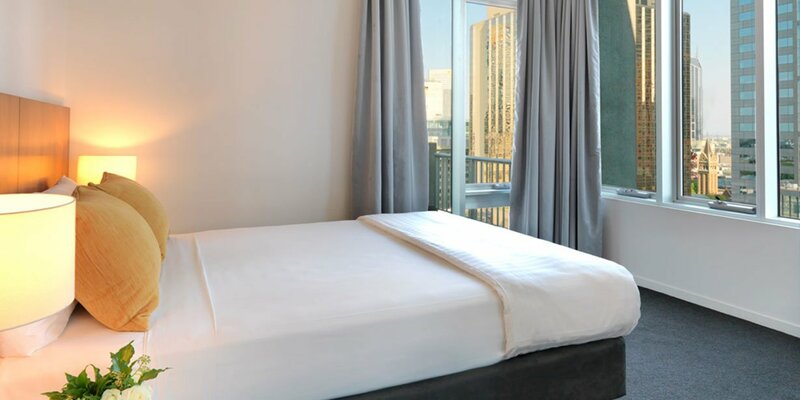 The modern warehouse lofts and apartments have warm, welcoming interiors, stylish décor and a full range of creature comforts including kitchens, laundries and living space. 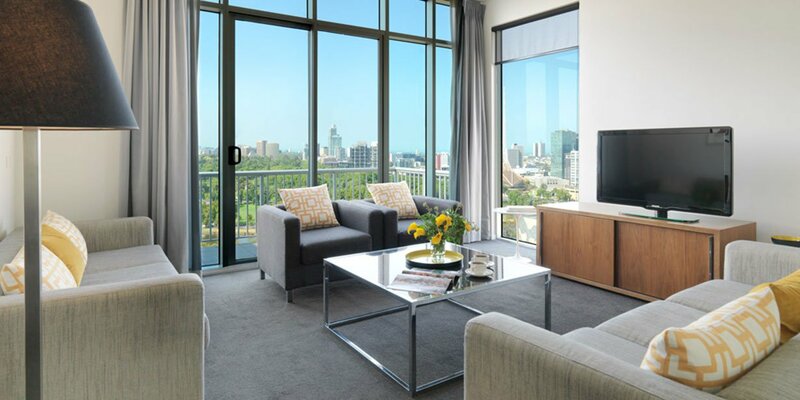 Many also have balconies offering panoramic views over the city. 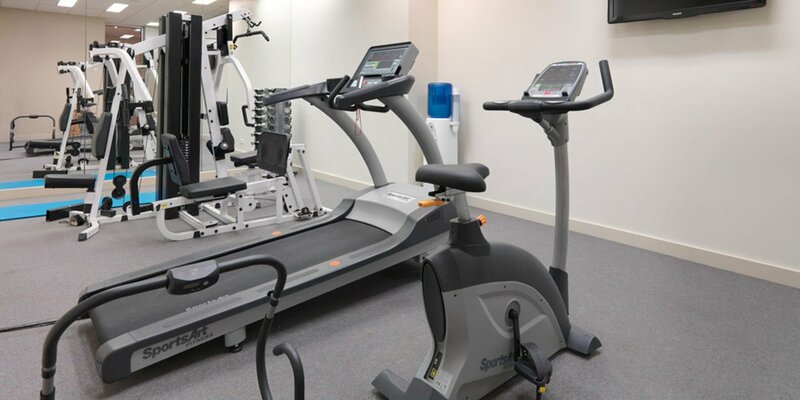 The hotel offers free WiFi, on-site parking, 24 hour reception and chargeback facilities at many local restaurants so your stay can be stress free. 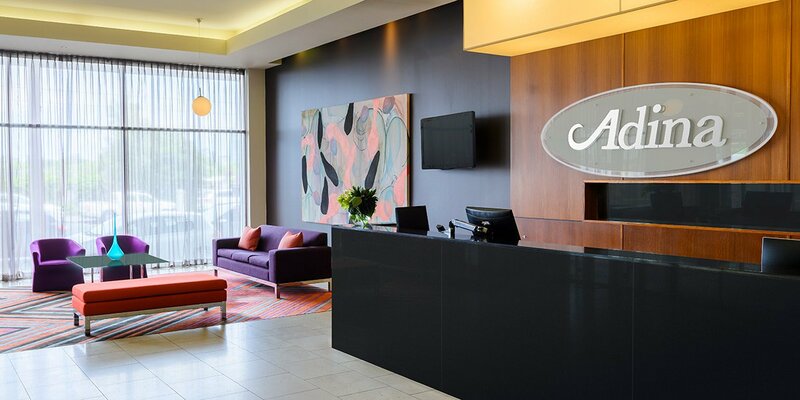 Conference facilities and packages are also available. 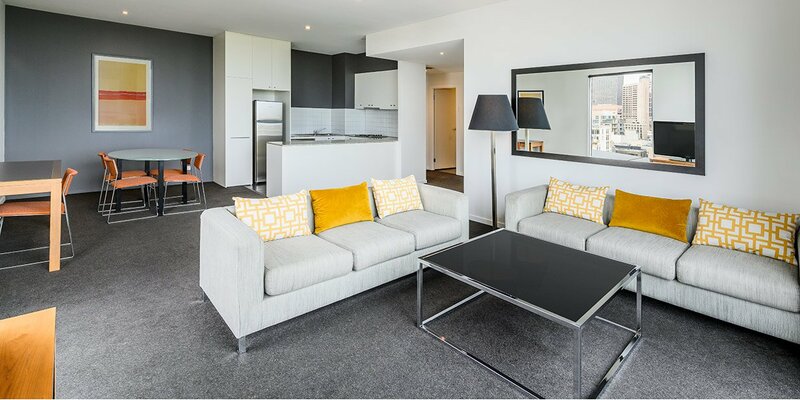 The combination of spacious apartments and an excellent inner-city location allow you to live like a local during your stay. Sip on an espresso at a hole in the wall café, spend an afternoon shopping for a one of a kind vintage find and then relax at a rooftop bar with a local craft beer in hand as the sun goes down. 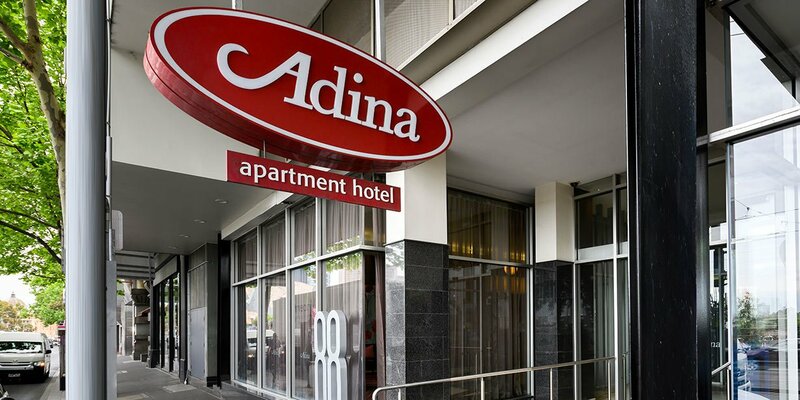 At the end of a big day of work or play, head home to your warm and welcoming apartment at Adina Apartment Hotel Melbourne on Flinders to relax, recharge and enjoy views of the city. 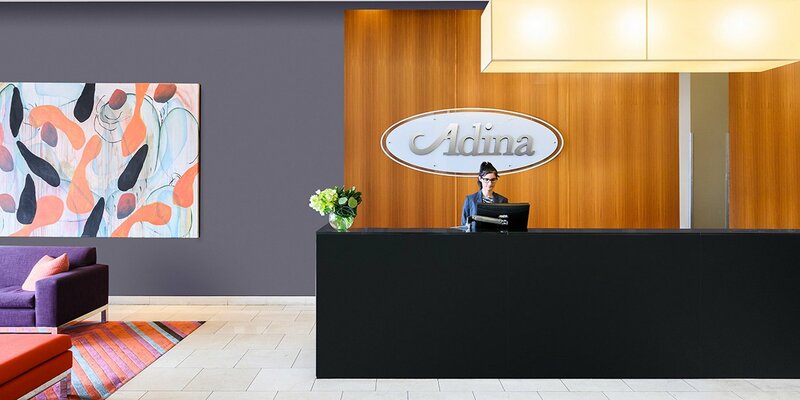 Adina Apartment Hotel Melbourne on Flinders offers affordable conference space in Melbourne CBD, 200m from Federation Square and moments from Flinders Street Station.